My new book Wisdom of Age is an entertaining yet serious book full of quotes about age and wisdom. 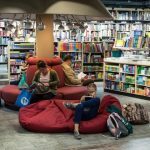 The book is intended to help people understand that there are positives of ageing. And this often means that once retired, people can and do go on to continue to contribute. Take a stand against ageism and realize the positives of ageing. With Wisdom of Age I want to bring forward the positives of an ageing population, not just in the USA but throughout the world. I believe in understanding the psychology of ageing and I openly promote a positive ageing strategy. I describe myself as a positive ageing advocate rather than an advocate against ageism and I am continually promoting positive ageing. When a person is described as old it is an individual’s perspective, and it varies from person to person. When you ask someone “What age is old?”, you will be met with many different answers. And if you ask “Is someone famous old?” such as Goldie Hawn for example, often the answer is no. Yet Goldie Hawn is in her 70’s as I write this article. That is a part of the psychology of ageing. 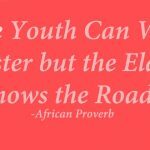 Often older people will tell you that age is just a number and this, in most cases, is very true. One thing that is very clear is that people past retirement age offer a wealth of knowledge and experience and they are also responsible and dedicated. That’s not to say that young people are not. It’s just to highlight that older people can and do contribute well into what some other people would see as old age. Today we are surrounded by examples of ageism in society, examples of age discrimination and other forms of discrimination based on age can be seen by us all. Yet older people are contributing today in ways that previous generations did not. People are healthier and are living longer. 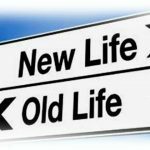 As a result, many are retiring later in life or not retiring at all. Some people discriminate because of this and this manifests itself as age discrimination. Age and Ageing. Is Age Just A Number? Here is the transcription of my interview with WBON TV regarding my book and how it came about. 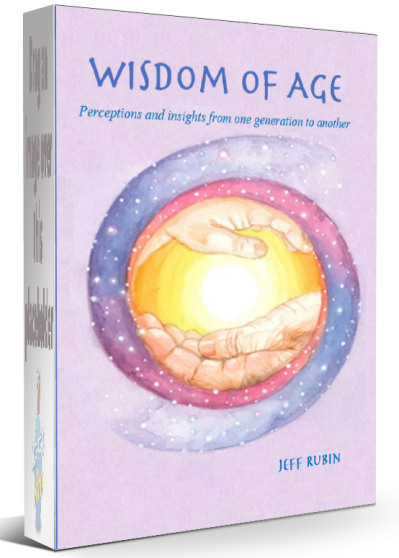 Recently WBON TV caught up with community conversations host Jeff Rubin about a new book he has released called Wisdom of Age. The book is called Wisdom of Age and it grew out of a survey that I did with Madison County school children about what it means to be old. I asked five questions. I also wanted to know how old that person was, what grade they were in and what age they considered old. We need to have the dialogue going on and we need to talk about age and ageism in terms of what is it. He agreed to hand out the survey to his principles and he expected maybe 100 responses. We got over 300 responses from children from as young as 5 right up to 17 and those responses were amazing and truly eye opening. In fact, the responses from the wisdom of children triggered emotion. Here is one of the responses I received. This is about self esteem it says “You are beautiful and handsome no matter what anybody else may say. Just because of your age doesn’t mean you can’t make a change in the world. Love yourself and always know you are special”. Well, Sophie age 9 said that. What about life? What would you say to somebody younger than you? “Try your hardest and do your best.” So those are the kinds of things that came out of our questions and I was astounded at the wisdom that we recorded here from children as young as five years old. What strikes me is that it’s amazing that you can learn from anyone at any age. That’s what’s significant here because we tend to think that somebody’s old at a certain age. What is that age? There’s nothing in the dictionary that says when a person is old. But if we perceive somebody as old at 35, 40, 50, 60, then we start to look at them differently. And I think in an age where people could live to be a hundred years old and many people can, it’s not time to tell people they no longer have value. I mean you can retire at 65 and have 30 years left to create whole other jobs and careers for yourself. We want to encourage that behaviour so that’s the purpose of my book Wisdom of Age. Jeff Rubin Author of Wisdom of Age and Advocate for positive ageing.